You’ve heard the age-old adage before: timing is everything! Well, this proverb also applies to a lot of outdoor activities; usually, there is a certain time of day that offers the best experience. Surfers often head to the beach early or wait until the sun sets because they know waves are best at dawn and at dusk. People who enjoy hiking prefer to begin the trek in the morning before the heat of the day sets in. So, what do skydivers do? What is the best time of day to skydive? When it comes to the best day to skydive, rather than a weekend, we suggest you try to schedule your skydive for a weekday. Weekdays are relaxed and a good time to schedule a skydive. Because of work schedules, most people set aside time to skydive on the weekends. This means weekends are much busier. We encourage you to check out the skies when there is less hustle and bustle. Though the happenings on the ground will not matter nearly as much when you’re in the air, you will definitely appreciate the easygoing feel of our drop zone on a weekday. Less people coming and going means that our instructors are able to provide you with a much more customized and intimate experience. They will have the time to sit with you, chat with you, and most importantly, to debrief the skydive. Heading to the drop zone on a weekday can set you up for a much more “tailored to you” type of experience. If you ask us, there is no better way to start the day than with a tandem skydive. The best time of day to skydive is usually in the morning or in an ‘earlier’ time slot. At WNY, we make it easy: you will not have to sacrifice precious shut eye because we do not have any absurdly early start times. Our first check-in time is 9:00 a.m. on weekdays, and 8:00 a.m. on weekends. 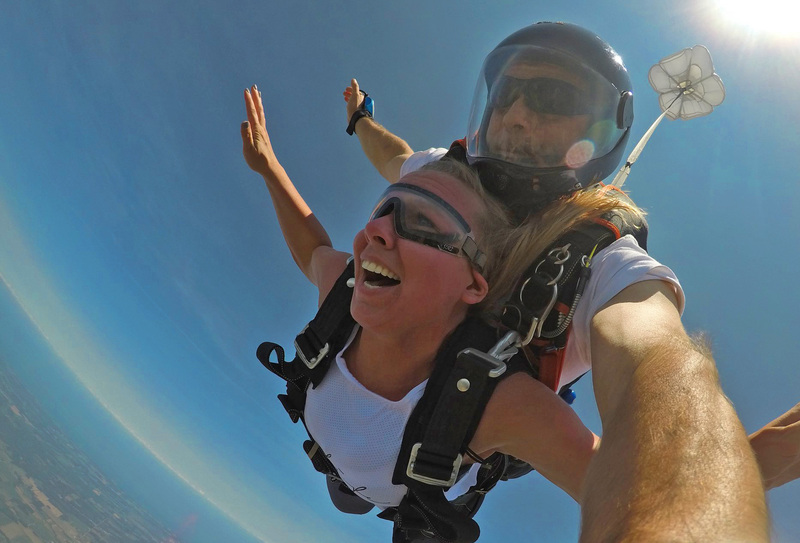 The best time of day to skydive yields Instagram-worthy photos! Why is the morning the best time of day to skydive? Let’s be honest. During the summer, the earlier you schedule for, the more likely you are to beat the heat. Plus, the lighting in the morning is absolutely perfect for those Instagram-worthy photos in freefall! If you are not able to snag a morning slot, don’t fret. The temperature at altitude is much cooler than the temperature on the ground. Even if the heat wave has you panting, a brisk flight in freefall at altitude is just the thing to cool you off! Skydiving is pretty awesome – whether it is a weekday or a weekend. And though it may be hard to know just what the weather will hold, it is definitely better to make your reservation ahead of time. If there are clear skies and gentle breezes, there really isn’t anything better you could do with your day. And while we have our own opinions about the best time of day to skydive, what is important is that you pick a time that is perfect for you. 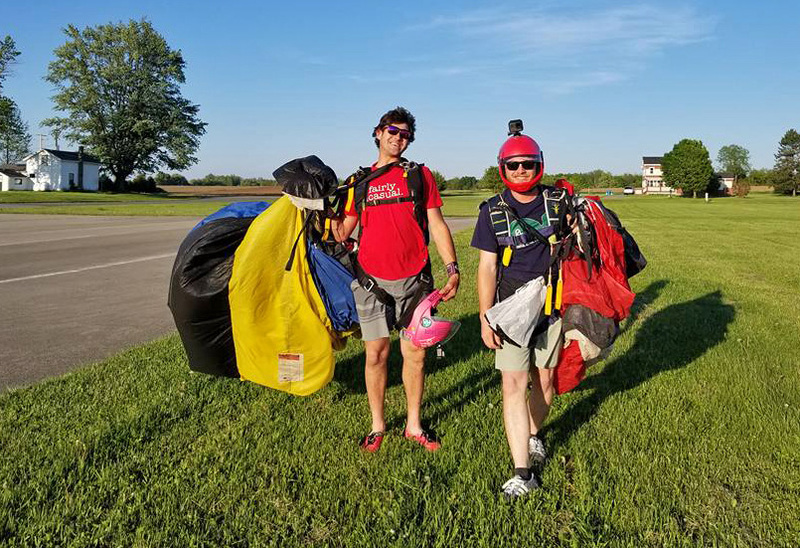 At Western New York Skydiving, no matter what time or day you choose, we will ensure you have the best experience possible!